Founded by Clare Wadd and Matt Haynes in Bristol, England, Sarah Records was a British indie record label that ran from 1987-1995. If you're a fan of jangly indie pop, there's a good chance you own one of Sarah's many releases. Groups such as Blueboy, Another Sunny Day, and The Field Mice, all issued records through the influential label. Sarah's unique design aesthetic, and commitment to socialism and feminism also helped set them apart from the other labels of its day. 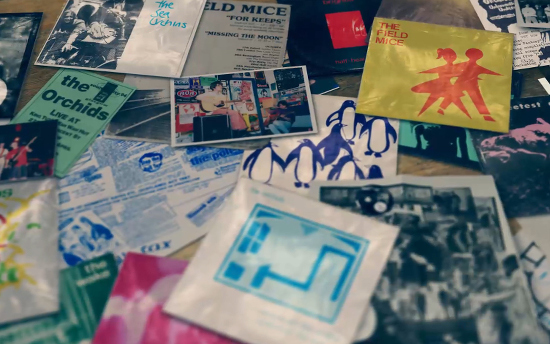 My Secret World - The Story Of Sarah Records is a new feature length documentary digging into the label's history. Directed by Lucy Dawkins, the film features interviews with Wadd and Haynes, plus former Sarah band members and music critics. I spoke with Dawkins to get the skinny on her documentary. Do you remember who the first Sarah artist you ever heard was? I originally discovered the Sha-la-la fanzines in a fantastic record shop at the top of Park Street in Bristol called Revolver Records. Matt Haynes was involved in creating the Sha-la-la fanzines and they came with free flexi discs so the first of these to feature a Sarah artist was the Talulah Gosh "I Told You So" split with Razorcuts' "Sad Kaleidoscope" flexi. Talulah Gosh went on to become Heavenly and Tim Vass and Gregory Webster from the Razorcuts released "Invisible" on Sarah as The Forever People. Sarah also released the radio sessions LP, They've Scoffed The Lot by Talulah Gosh. The Sha-la-la flexis were great and through these I heard The Poppyheads, Sea Urchins and The Orchids. Clare Wadd was writing Kvatch at this time, but I unfortunately never came across her fanzine which is a shame, I've read them since and they are great, really varied, well written and put together. People I knew here in the States that followed the Sarah Records bands were borderline obsessive about the whole thing. What was it about the label and its artists that brought on that kind of fandom? I think Sarah Records has always been more popular overseas than in the UK. Maybe a romanticism about the label and the artists developed due to the way the releases were presented. The inserts, literature and artwork were as important to Clare and Matt as the bands they picked and the music they chose to release. Everything they did was for a reason and done with passion, because they cared so much about every detail of the label, people picked up on this and responded in kind. Also, the artists were very open and honest in their approach. There was no posturing and doing things because it was fashionable or to make money. Paul Stewart from Blueboy sums this up in the documentary; "Matt and Clare just said we want you make an album, that was the brief and because the bands were given that responsibility, we cared more than if there were massive budgets and you were told what to do. So the end result is that you've got something more honest and personal and people can always relate to something that's personal." From my American standpoint, I thought that the UK weeklies in the late '80s and early '90s hyped way too many bands that didn't deserve it. But from what I remember, Sarah Records didn't get the respect I think it deserved from the press over there. Sarah Records did have some supporters in the British music press and occasionally received good reviews, but the label was generally mocked. It is understandable that the music press needed to write entertaining copy and reviews to sell papers. What wasn't acceptable was the constant sexism and homophobia directed at the label and at the bands. What inspired you to make My Secret World? I imagine it took over your life while you made it. The answer to this partly leads on from the previous question in that Sarah Records was and still continues to be misunderstood. Sarah released a wide variety of music by bands from around the world and wasn't part of any one scene, releasing music of one particular genre. I hope My Secret World demonstrates how eclectic the label's discography is and by presenting the music alongside interviews with those involved the viewer will get a better and more coherent understanding of the label. Also, I live in Bristol where Sarah Records was based and the label is not well known here at all and is rarely mentioned as a part of the city's musical history. This is partly because there were only a couple of local bands on the label so Sarah Records was never part of a Bristol scene. I felt it was necessary to put Sarah Records back on Bristol's musical map. I'm especially pleased that the Arnolfini Arts Centre in Bristol will be dedicating the bank holiday weekend in May to celebrating Sarah's legacy with an exhibition of Sarah memorabilia, live performances by The Orchids, Secret Shine and Amelia & Rob from Heavenly along with a preview screening of the documentary. This alone will make the whole process worthwhile for me. I've funded the documentary myself and have fitted the production of it around working full-time which is the reason why it's been 4 years in the making. I'm a professional film maker and working with my partner Tom Readdy of Yes Please! Productions means we could do the majority of the work ourselves. For the overseas interviews I've been helped by some amazingly generous filmmakers who filmed the interviews that would have been impossible for me to get otherwise. I am also extremely grateful to the fans who have sent their archive footage and photographs, these contributions have all been vital. 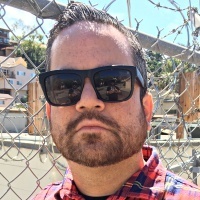 Was there anyone that you wanted to interview for the film that you just couldn't land? I'm disappointed that Bobby Wratten of The Field Mice declined to be interviewed and I tried to arrange an interview with a Sea Urchin. I understand that the interview process and appearing on camera does not appeal to everybody. I believe Michael White who is currently writing a book about Sarah Records (Popkiss: the life and afterlife of Sarah Records) succeeded in getting these interviews so I'm hoping I'll learn more about Bobby and the Sea Urchins through the book. Listening to current acts like Best Coast, Vivian Girls and the Drums, it's not tough to hear the influence Sarah Records has had on contemporary indie music. Sarah has certainly had an influence on indie aesthetic – the imagery, texts and fanzines and persistence of the 7" single. The D.I.Y. scene is thriving and it's great that more women involved in writing and playing music now. If you had to play three Sarah Records singles for someone who hasn't heard anything from the label before, which ones would you choose? There are 9 great tracks here from artists that appear to have no connection to each other and that's what I find really interesting about Sarah Records. Clare & Matt championed the bands that they both loved and that must be another reason for Sarah's enduring appeal, they simply chose fantastic music. 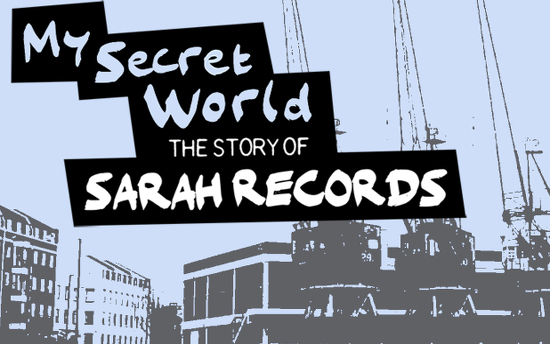 Learn more about My Secret World - The Story of Sarah Records at its official website.